"Message of Grace" is the weekly radio outreach of St. Louis Bible Fellowship Church and features the Bible teaching of Pastor Rick Owsley. Pastor Rick has served as Senior Pastor since 1997. He is also President Emeritus of St. Louis Theological Seminary. Each week on the broadcast, Pastor Rick teaches the Word of God and in a clear and concise manner, helping listeners come to Christ and grow in their walk with the Lord. 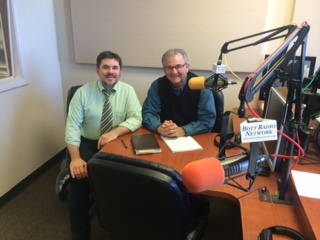 You can listen to the broadcast every Sunday morning at 11:45am on Bott Radio Network 91.5FM KSIV.